Farmers from across the Florida Panhandle, as well as southern Alabama and Georgia are invited to attend the 2019 Panhandle Row Crop Short Course. The meeting will be hosted by Jackson County Extension on Thursday, March 7 at the Jackson County Agriculture Conference Center (2741 Penn Ave., Marianna, FL). Registration and the trade show will begin at 7:15 AM (Central) with the meeting starting at 7:45 AM and concluding at 12:00 PM with a sponsored lunch. Farmers from the Tri-State Region gather annually for updates on the latest research on row crop production on the first Thursday of March in Marianna. This event focuses primarily on production practices associated with peanut and cotton. The speaker lineup includes Extension Specialists from both the University of Florida and Georgia. Topics include variety performance, herbicide updates, pest management, financial assistance opportunities available to producers, and the market outlook. 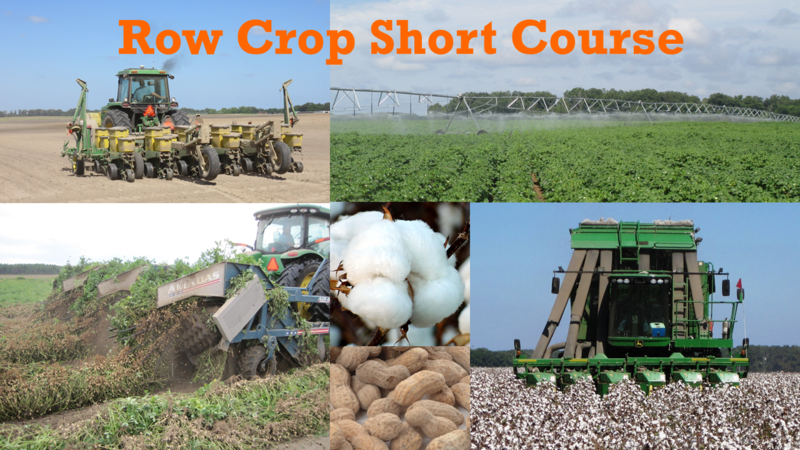 For specific topics,speakers, and schedule, use the following link to the flyer: 2019 Crop Short Course Flyer. A variety of CEUs will be available, including Certified Crop Advisor, Florida, Georgia, and Alabama pesticide CEUs. The Panhandle Row Crop Short Course is an educational program provided by the UF/IFAS Panhandle Ag Extension Team. For more information on the meeting, or to help sponsor the event, contact Ethan Carter or Liz Jackson at the Jackson County Extension Office 850-482-9620. Ethan Carter is the Regional Row Crop IPM Agent based in Jackson County. He earned his BS in Food and Resource Economics, and his MS in Agronomy, both from the University of Florida.